NATCHITOCHES, LA (AP) - Teams from Natchitoches, Sabine, and Red River parishes were met with spectators and cheers on Tuesday during the opening ceremonies for the Red River Special Olympics. The event was held at Northwestern State University. According to the release, the track and field competitions were organized by NSU's President's Leadership Program with assistance from NSU Athletics, the Natchitoches Jaycees, area law enforcement agencies and other volunteer groups. 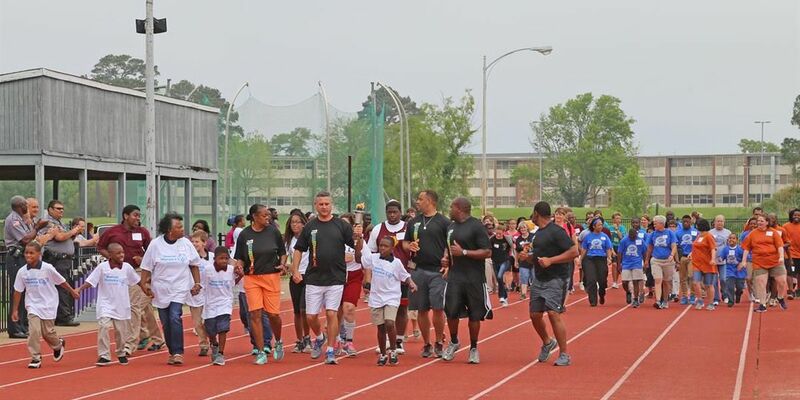 "Building communities, Special Olympics works to spread compassion and acceptance in a way that can unite the world," said Reatha Cox, PLP advisor. "The goal is to awaken everyone – and every community – to each person's common humanity. This vision of inclusion starts at the local level." Special Olympics is a global movement that organizers say unleashes the human spirit through the transformative power and joy of sports.